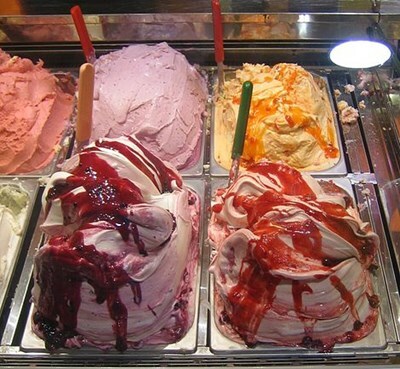 Ice cream or ice-cream is a frozen dessert usually made from dairy products, such as milk and cream, and often combined with fruits or other ingredients and flavours. Most varieties contain sugar, although some are made with other sweeteners. In some cases, artificial flavourings and colourings are used in addition to (or in replacement of) the natural ingredients. This description uses material from the Wikipedia article on Ice cream and is licensed under the Creative Commons Attribution-ShareAlike License (view authors). Image by Alessio Damato. 2689 people want to do this. 681 people have done this. Marbled chocolate ice cream slice. Made without an ice cream maker. Just thickened cream, condensed milk and some Flake and Maltesers. Frozen vegan banana ice cream! Simple and healthy. Cashew and cacao is also quite perfect!! I made banana nice cream!! I've made it a few times now, it's amazing. All you need is bananas, vanilla essence, and a blender/food processor. That's it. I can't remember exactly when I did make it but I'm pretty sure the first time was in April. Dairy free pear ice cream with cinnamon! Made raw vegan ice cream of bananas, agave and raspberries. I took a theoretical ice-cream making class. It just made it sound hard! I'm interested in the custard approach but as someone who's not much good at baking it was unfortunate to hear how similar this will be. The samples were amazing though. Did this with snow and made "snow cream" from scratch with Sam! 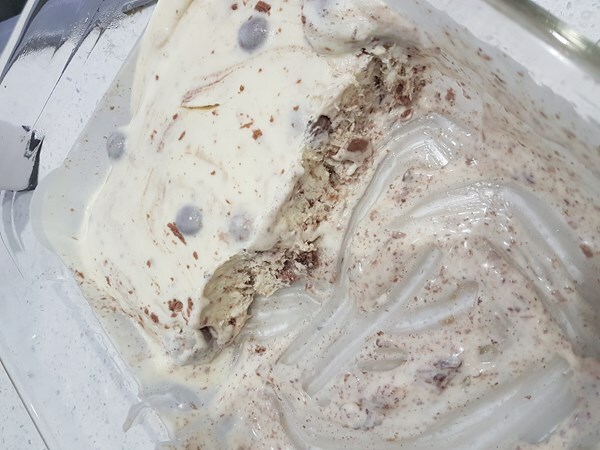 I made my first Homemade Ice cream. I made vanilla as I figured it would be best to stick to a simple recipe before risking the cost of ingredients for a harder one. I did not let it mix long enough; I was impatient, however it turn out great after it firmed up in the refrigerator! Kids have been enjoying homemade ice cream 100% no chemical good ingredients for the last couple days. Thank you for the great Christmas present, Rhonda!! Got an ice cream machine for my birthday 2013, made milk chocolate ice cream! Rhonda gave me an old fashioned ice cream maker for Christmas! Will make some for our next card party! Whoop! 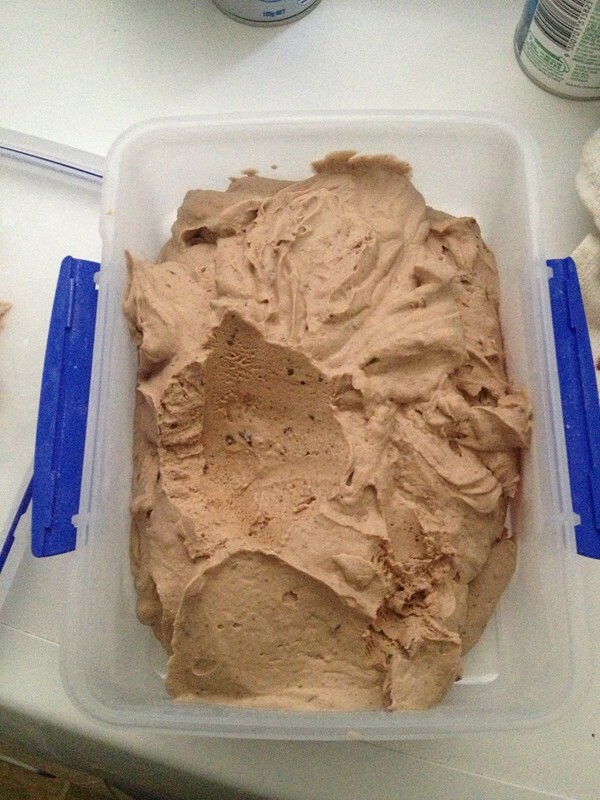 Nov 03/13 - homemade chocolate ice cream. Next, coffee! August 7/13 made vanilla and maple ice cream. So easy, yet impressive. Lessons learned...use higher fat milk, not 1%. Tomorrow going to teach people how to make it! July 26/13 - Bought an ice cream maker! Mango ice cream! Recipe from Tsing Tao Daily. 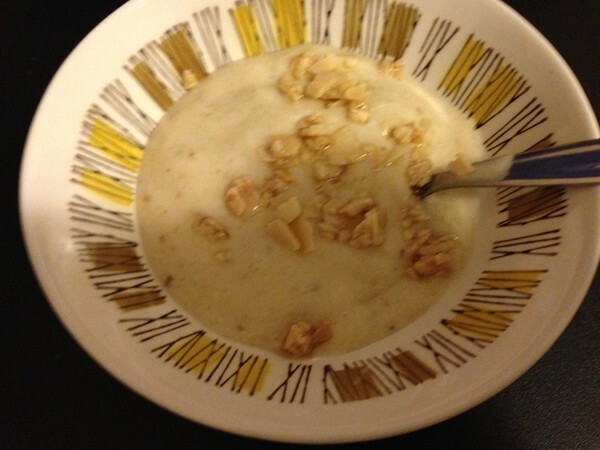 I made Gwyneth Paltrow's Banana "Ice Cream"
It doesn’t have much (fake) milk so it tastes mostly like banana. Nice, and certainly very different. Not quite ice cream. Made Elderflower Sherbert, but I want to make Lavender Ice Cream, so I'll mark it off when that is accomplished. Ice cream maker on its way! I tried another method. It wasn't that much like ice cream but it actually was more solid after I left it on the fridge and everyone but me liked it so I'm counting it as done. Not properly I bet but done. 11 Sept 2012 - Failed to make ice cream with method one, will try again tomorrow, maybe with a different one. Made orange ice cream - was ok but think the egg had cooked slightly. Might try cooking cinnamon ice cream another time.